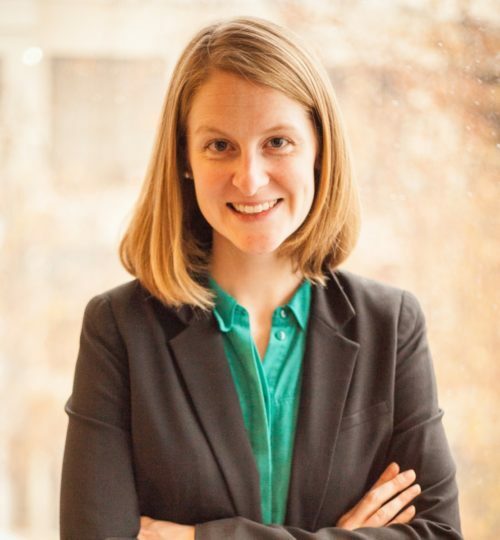 Meredith J. Weaver joined Disability Rights Advocates in 2015 as a Fellowship Attorney. Since then, Ms. Weaver has represented the American Council of the Blind and its state affiliates, the California Association of the Deaf, the Center for Independent Living, and individuals around the country in litigation and non-litigated negotiations to ensure accessibility for individuals with disabilities. Ms. Weaver’s experience includes advocacy in the areas of health care, technology, entertainment, and architectural accessibility. Prior to joining DRA, Ms. Weaver was a public service legal fellow at the Equal Employment Opportunity Commission, San Francisco District Office, where she worked on litigation to address discrimination based on race, national origin, and disability. Ms. Weaver graduated from Brown University in 2010 with an A.B. in International Relations and received her J.D. from the University of Texas School of Law in 2014. At UT Law, Ms. Weaver was a Human Rights Scholar at the Bernard and Audre Rapoport Center for Human Rights and Justice, and Symposium Editor for the Texas International Law Journal. She also worked as a student attorney in the UT Law Immigration Clinic and interned with Disability Rights Texas. Ms. Weaver is admitted to the State Bar of California and to the U.S. District Court of California for the Northern and Central Districts.